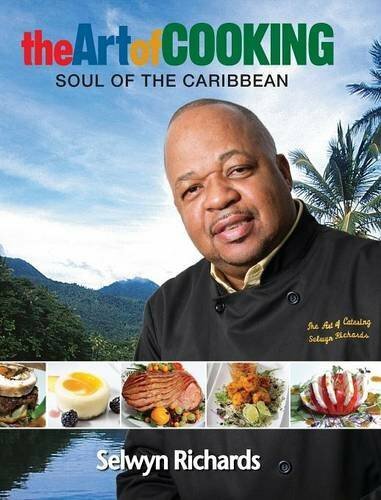 TASTE THE ESSENCE OF THE CARIBBEAN: In “The Art of Cooking: Soul of the Caribbean”, Chef Selwyn Richards offers simple recipes that are sure to tug at your memories of home. But even if you are a newbie to the cuisine, these step-by-step methods, sample menus and easily available ingredients make creating these dishes a cinch. At your next meal or event, experience the riotous, tantalizing flavour that’s truly Caribbean and create WOW! This is the first cook book that covers the entire caribbean cooking and culture. The pictures are great and the recipes are easy to follow. I would definitely recommend this book. I have tried the recipes and they all were delicious. I love how recipes from different islands were included. This book has become my kitchen bible.